We'll be happy to provide you with a custom quote. Please give us as much information as possible and we'll contact you shortly. e.g. shirt color, sizes and quantities and in hand date. Silk Screen & Embroidery buy online t-shirts, apparel and clothing. Live event screen printing. Graphic design, website design, SEO social media marketing. Custom printing for any occasion. We offer affordable custom designs and printing with quality products and quick turn around times. Our embroidery team has over 25 years of experience in Denver, Colorado. In house digitizing assures your logo is impeccable before stitching it on your polo's sport shirts, golf towels, league apparel, hats and anything else we embroider. We have a 24 piece minimum for embroidery on apparel such as polo's, t-shirts and hoodies. Proud distributor of Pacific Headwear we also have a wide variety of hats from fitted to adjustable snap backs and many other popular brand names. We also embroider patches and have an in house seamstress that can stitch your patches on shirts hats and other garments. We can embroider your logo or design on any style of hat and in some cases offer 3D embroidery featured in the photo below. Click here to get a custom hat quote. It all starts with a quality high resolution logo that our graphic design team can help you with. Once that is established we digitize the graphic to make it readable by our embroidery machines. From there we place your shirt, hat or polo under the machine heads for mass production stitching as seen in the image here. 1) We take your logo, design or help you design a graphic and digitize it. This process essentially breaks down the graphic and tells our embroidery machines how to best stitch on the hat or garment. Digitize pricing is based on stitch count. The bigger the design the more stitches it takes to translate it accurately. Click here to get a quote on digitizing services. 2) We then embroider your design on the garments or hats. 3) Once your order has been completed we coordinate a delivery date. ***If embroidery on caps is not what your looking for we also offer screen printing and heat press vinyl on hats. 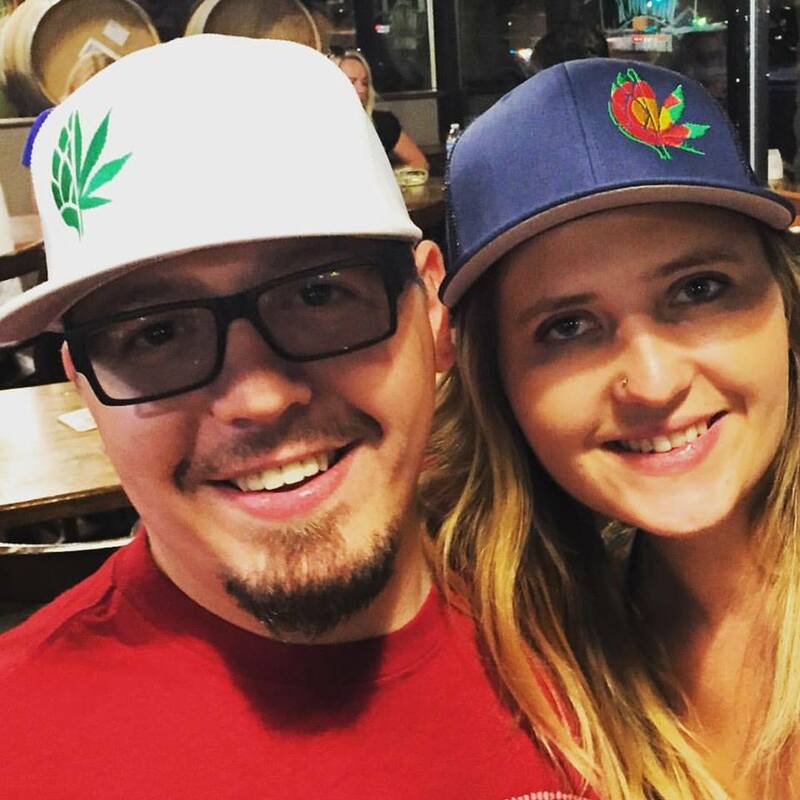 Colorado beer festival's = Colorado Hop hats. Fans make the brand! Sporting the #hopijuana and #coloradohopijuana caps.